I spent a lot of my early childhood in Cardiff. It is a place that has a lot of emotional resonance for me, but I haven’t read much crime fiction set in the city. 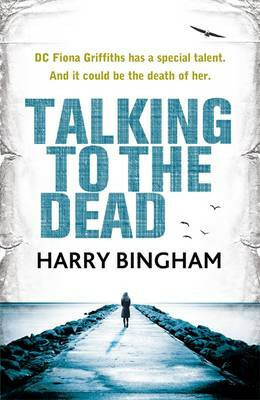 I was intrigued, therefore, to discover that Harry Bingham’s latest book, Talking to the Dead is set in and around Cardiff. As it turned out, the book was intriguing for an entirely different reason and I found it to be an unsettling and unusual read. Detective Constable Fiona Griffiths is investigating her first murder case where a woman and her six year old daughter have been killed in a squalid Cardiff flat. The woman had in her possession the credit card of a wealthy businessman who was killed in a plane crash months earlier. The child’s brutal death appall the investigating team and when a prostitute is also found murdered, police are convinced that they are looking for the same killer. Fi feels an instinctive affinity with the victims to the extent that she believes that both touching the bodies and examining photographs of the dead family will help her solve the case. However her obsession brings her into the heart of danger, while revealing a shocking truth about her own past. I thought it was an interesting concept to have as the main protagonist a female cop who is at the bottom of the ladder in the hierarchical police environment. It is only Fi’s voice we get to hear – written in the first person and present tense it is a compelling voice although it did take me a while to get into the narrative style. There are hints throughout the story that Fi has a unique approach to life and this is opened up fully later on in the book. The revelations about both Fi’s past and her psychiatric problem are interesting enough to make me want to read more of her story in future books. Some parts of the book I thought were fairly shocking. I don’t like excessive violence in my crime novels and if it’s there then it has to be for a reason. In Talking to the Dead there are some scenes which I found distressing but on reflection I thought they were rightly so. We are reading about the death of a six year old girl and perhaps glossing over the level of violence would have taken away some of the emotional resonance of the killing. There is also a scene where Fi (deliberately) locks herself inside the mortuary for the night. Again, I winced at a couple of scenes but have to admire a writer who is prepared to go there. It didn’t seem gratuitous in light of Fi’s personality although it could have distasteful in any other context. So, quite an unusual book and given the amount of crime fiction I read, that is fairly surprising. I’m looking forward to reading more in this series and not only because of the setting. Incidentally, anyone familiar with Cardiff will recognise many of the places in the book. I bought my copy of the book. Other reviews can be found at Petrona and Crime Thriller Girl. Very nice review. I enjoyed this book, though not the OTT bit near the end which jarred with me. You make interesting points about violence. I don’t like “de trop” violence in crime novels either- I don’t like the genre where people being shot, kidnapped, etc, is depicted as funny – though plenty do. I avoid books about child abduction (all the rage at the moment), torture and serial killers. 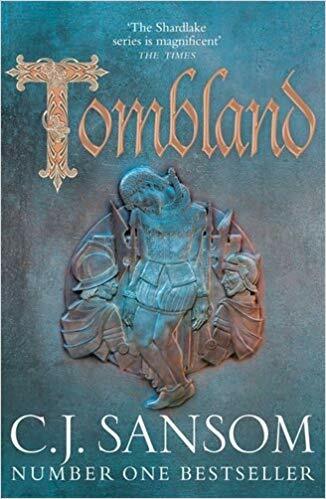 I didn’t feel that this book went over the line for me, I found the awful death of the child was believable in context, even though a you write some of the subsequent scenes and imagery about that were rather hard to take. Maxine, I hadn’t noticed that there were a lot of books about child abduction at the moment. It is always a distressing subject. Serial killers are (I hope) passe! Glad you liked the book too. Sarah – An excellent review as ever. You make interesting points about the narrative style; it’s an interesting perspective from which to tell a story, but I do wonder about the use of the present tense. I’ve seen that a lot lately and as you say, it takes getting used to it. I admit it’s not my favourite… But the setting sounds really interesting – I don’t read enough novels set in Wales – and Fi’s character sounds intriguing. Yes Fi’s character is the main strength of the book. A very good character. Why can’t you post the odd disappointing review? Nearly everything you review has me wanting to read the thing! I’ve read a couple of bits and pieces over the years from John Williams – an author who set a lot of his fiction in and around Tiger Bay. I’m not sure if he’s still getting published these days, or if his books are up your street. Sorry Colman, I do post reviews of books I didn’t like (see Camilla Ceder this month) but I do try and state positives too. I haven’t heard of John Williams but will bear him in mind when I am looking for new authors. Leighton Buzzard hmmm. You could always write one yourself! Good to see Wales making it onto the Crime Fiction map. Maybe a Kindle job for a long flight? I think so Anwen., It is quite a long book so ideal for kindle. I can bring you my copy though when I see you in December. This is a good review and the book (and the character) sound intriguing. I just don’t need any more books to read right now so I will put it on my future “get someday” list. Yes I have one of those lists too Tracy. This is a very good review and the Fiona character and Cardiff setting intrigue me. But, eek! Violence against children unnerves me and I try to avoid it. I have to skim over sections, which portray that. I have gotten through some books which include this theme, but not too many and not if it’s too awful. You don’t particularly get a description of the violence Kathy but the after effects of it. As you say it is very unnerving.